You will be excused for not having heard abou the latest Bollywood movie sensation, a film called Mard Ko Dard Nahi Hota, which translates as “The Man Who Feels No Pain”. The movie, which went out for general release just over three weeks ago, charts the story of a young boy, Surya, born with a rare medical condition that means he feels no pain. Beatings don’t hurt him, and neither do broken bones or burns. The movie is partly a martial arts extravaganza, showcasing the latest in slow-motion action sequences, and partly a Marvel Comics style superhero movie, featuring an indestructible hero with a heart, who is pitted against an evil villain. In the short time since its release the movie has already been a runaway success – the YouTube trailer, uploaded in early March, has been viewed almost 9 million times. The movie’s central premise so intrigued me that I decided to investigate. Was Surya’s condition merely science-fiction, a fantasy created to make the movie more exciting? Or was it actually a documented medical anomaly, used here by the moviemakers as a means to entertain? Well, as it turns out, CIP, or “congenital insensitivity to pain”, is a real, if extremely rare, condition. Also known as congenital analgesia, there are less than 300 reported cases in the entire world. Most curiously, there is one village in Sweden, a tiny place called Vittangi, which just happens to be home to 40 CIP sufferers, and it is believed that the condition originated there. But while Bollywood filmmakers may have framed CIP as a superpower, in reality the inability to feel pain is not a desirable condition. Feeling pain is crucial as pain is used by the human body to identify problems so that they can be dealt with quickly and effectively. In a 2017 interview with BBC Future, Stefan Betz, a 21-year-old German CIP sufferer, described how he can place his hand in boiling water and not feel any pain, and is even able to have an operation without anesthetic. Despite this, he thinks of his condition as more of a curse than a blessing. Interestingly, there is a connection between CIP and the Torah portion of Tazria. The Midrash on Tazria (Vayikra Rabba 15:4) opens with a strange parable. Someone pays a visit to the king’s palace and the first thing he notices is a dungeon filled with a range of torture equipment, and he is immediately reduced to a state of absolute terror. The Midrash explains that the parable is a metaphor of the Jewish nation and God. When the Jewish nation heard about the dreadful affliction known as tsara’at, they were understandably alarmed and petrified. God immediately reassured them that tsara’at was not meant for them; instead it was meant for the wicked gentile nations, while the Jewish nation’s lot would be joy and bliss. This Midrash is beyond puzzling. No gentile has ever been afflicted by tsara’at, as the entire purpose of this biblical malady is to keep the Jewish nation in check. So what is the Midrash on about? Only as a result of an explanation by the Sefat Emet commentary augmented by my new knowledge of CIP was I able to make any sense of it. 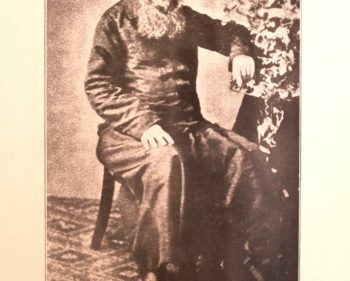 The Sefat Emet points out that it is the priest whose must declare when someone is fully cured of tsara’at, as a demonstration of the fact that in Judaism, priests are seen as paradigms of kindness. In which case, why must it be a priest – and no one else – who diagnoses the tsara’at in the first place? How is it kind to tell someone that they have a debilitating malady? Perhaps the answer is simply that while good health is certainly good news, to know that you are not in good health is also good news. Just ask a CIP sufferer like Stefan Betz what it means never to feel pain, and never getting the message when something is medically or physically wrong with you. Although pain may be uncomfortable, it is almost always a symptom of something more serious that needs to be addressed. Similarly, tsara’at is a symptom of something wrong that needs to be addressed; consequently, the priest who delivers that message is performing a great kindness by doing so. The guy in the parable who visits the palace and spots the torture chamber is naturally fearful of gratuitous pain, as anyone would be, but the king reassures him that any pain for pain’s sake is strictly reserved for the wicked among the nations; meanwhile, for him there will only be joy – namely, pain that will result in joy because it is a first step in the rehabilitation process which will see his relationship with God resurrected. Particularly in an era when popping painkillers has become ubiquitous addiction, and resulted in countless unnecessary fatal drug overdoses, we might do well to welcome wake-up calls when we get them, and to treat them as a blessing instead of a curse. 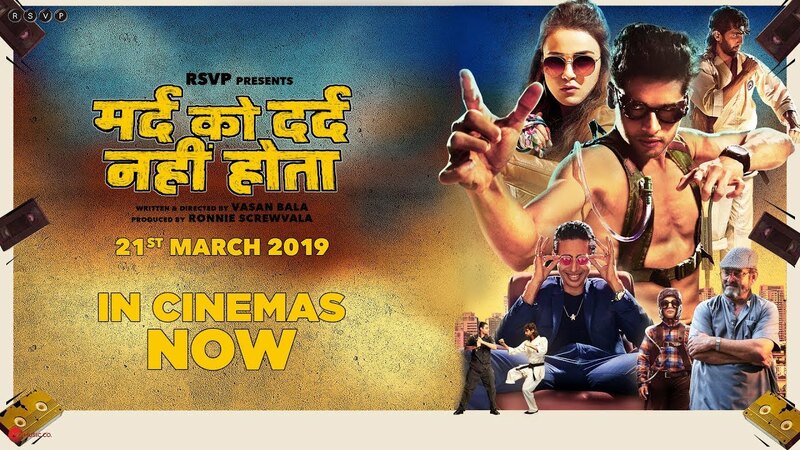 Image: A movie poster for the Hindi-language Bollywood movie Mard Ko Dard Nahi Hota, released March 21, 2019.